Sign your School Up for Supply Lists, WishLists, &amp; Fundraising. 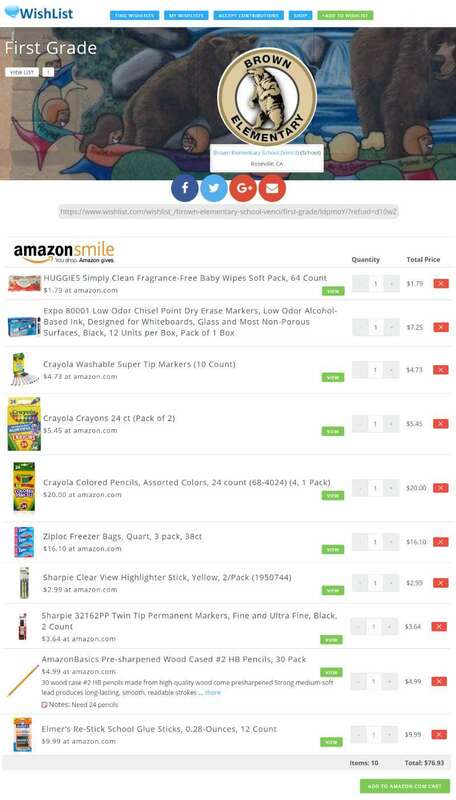 Make your school's supply list purchasable online. It's completely free and fast. 2) We create all your lists so they're purchasable online, and give you a URL to share it. 3) You put the URL on your website and send the URL out in an email.